When kids open the enchanted book that lies at the heart of this thrilling new adventure set, they open a door to an adventure they will never forget! 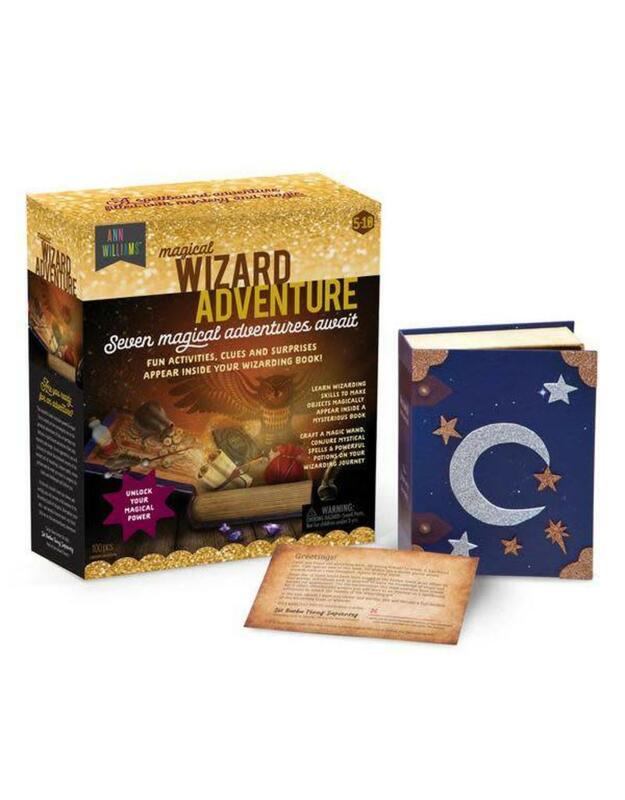 The book is really a “magic portal” that wizards use to travel from their world to this one and deliver a series of 7 fun themed activities and projects to their new apprentice. As each one is completed, kids receive a new task from the wizard. When they complete all 7, they earn membership in the Wizarding Guild! The set also includes a special letter from the head of the wizard council just for grownups. The note explains how the magic works and asks for help in making it happen. Lifelong memories for both kids and grownups are there for the making as you unlock the secrets of the world of wizards!